Special: Spellcaster, Can only be damaged by magic and magical weapons of +1 or greater. 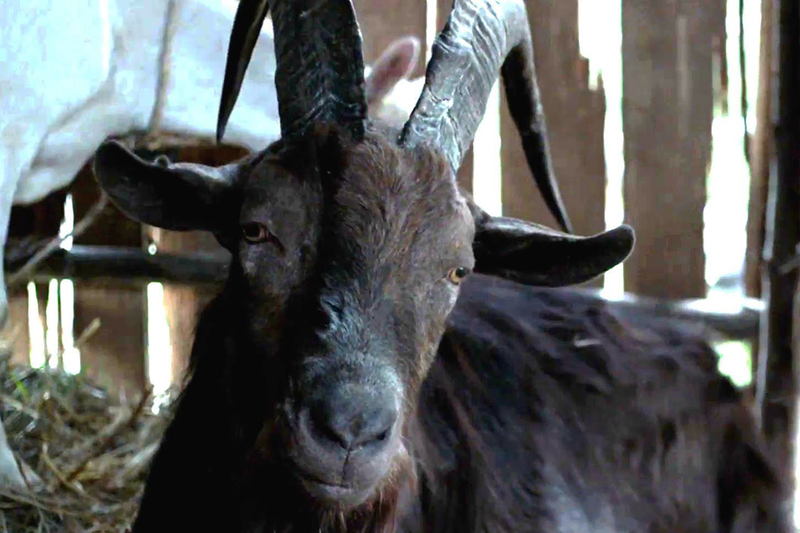 Black Phillip may appear to look like a harmless goat but he is actually The Devil. He causes chaos, destruction and death. He can often be found poisoning the minds of farming families and converting young women to be his servants as witches. He can cast spells such as Charm Person, Dark, Protection from Good, Sleep, Curse, Detect Thoughts, Continual Dark, Speak with Animals, Cause Disease, Hold Person, Charm Monster, Confusion, Polymorph, Animate Dead, Feeblemind, Hold Monster and Insect Plague. Though, defeating Black Philip doesn't kill The Devil, just the goat form he has taken.